This BEST of Oregon’s Amazing Uniforms page is one of 12 new sections of the incredible 1,000+ piece Oregon Football Repository that can be found up on the Toolbar. It has been an enlightening experience for me to find all these articles and videos, and my hope is that these new sections will be a great place to retreat to when you want a break from “real-life” and wish the pleasant diversion of reading about our Beloved Ducks. As you know–another signature part of the Oregon Brand and identity is the introduction of new uniforms, and the concept of mixing them up from week to week, and changing them completely every couple of years. We turned the nation on it’s ear with our gradual movements until finally everyone began copying the Ducks. It’s great to be a leader! 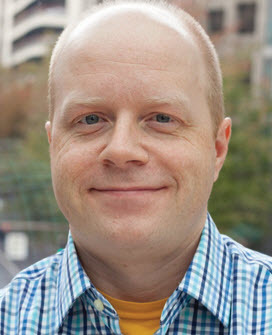 Brian Libby is a professional writer in Portland who has contributed a ton of articles on this site for fun, and one of his passions is closely examining and pondering the latest uniform “kits” as he refers to. (He has written many books about Oregon football that you can still acquire) Many of the articles are below as he and I have spent hours on the phone over the years discussing the latest green and yellow rendition and hooting at other teams’ attempts to duplicate our Oregon’s innovations. Brian is part of a group I call the “Greybeards” of fellow Duck fans who have been associated with the site in the past or present and whom I enjoy staying in touch with and swapping “Duck Tales” with. One of the benefits of FishDuck.com for me has been the friendships made around the US and world with fellow fans of our Beloved Ducks. It is a treasure beyond value…. Below is a collection of articles written on this site and other places about the uniforms, as well as some really cool videos created by professionals detailing some of the best uniform combinations. Great fun for all! –1. Oregon’s New Uniforms: Are We Still Innovating? 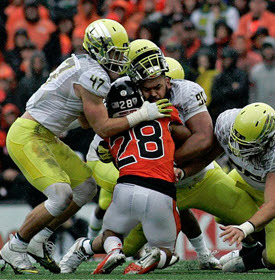 Brian Libby poses some interesting questions about the future of Oregon uniforms. OregonLive.com has a superb collection of many memorable uniform combinations. Dennis Dixon in the Storm Trooper uniform chewing up the Huskies. –3. 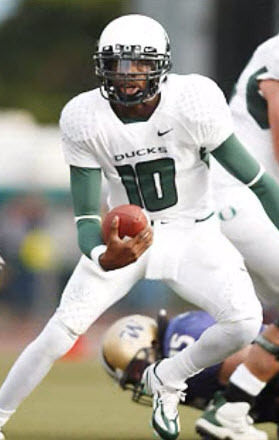 Ducks Retro Uniforms… Appreciated or Misunderstood? 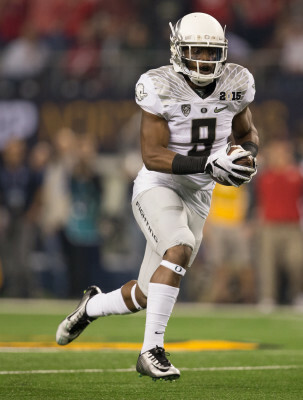 Brian Libby is the foremost authority at FishDuck.com concerning Oregon’s uniforms. It is always interesting to look back on his commentary, especially before the 2012 season. A pretty polished and cool video put out by CBS Sports of Oregon’s uniforms. Benzduck has some incredible pictures of prior uniforms at Oregon–a wonderful primer before all the major uniform changes. 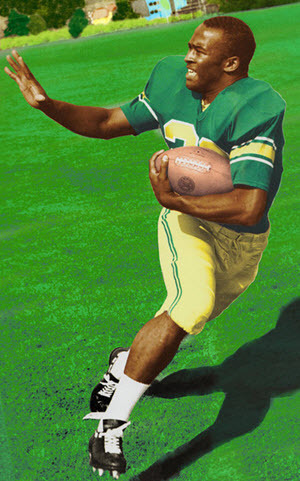 Mel Renfro in the 1962 Duck Uniform. Brian Libby’s terrific article brings up points that could have been voiced by many Duck fans questioning some of the uniform choices for Oregon’s biggest games. A valid point? Joey Holland gives us a rare look at the progression of the Oregon helmets..
A pretty amazing array of uniform pictures up to the that point and their grades given to them! 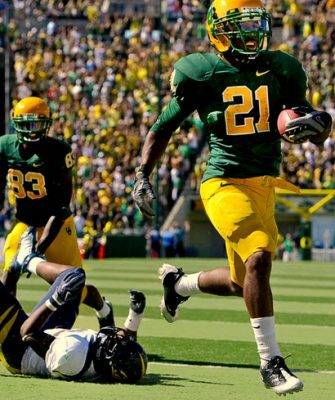 Chris Greenberg truly shares 50 Oregon uniform combinations-great memories…. 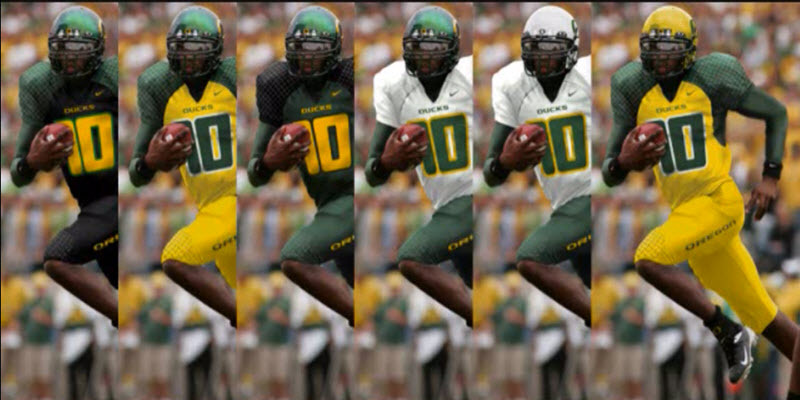 A superb video about Oregon’s uniforms as they were gaining steam in Chip’s era. –14. New FishDuck.com GIF! They laughed at Oregon’s Uniforms? Gar Pearson gives us perspective on Oregon Baseball uniforms we might never have known! David Koh explains the “other” market of Duck merchandise. Matt Prehm of Duck Territory, 24/7 and CBS Sports put together a cool collection of his top 20 Oregon uniforms that he enjoyed on Oregon game days as a reporter/writer for their site. –19. Oregon’s New Uniforms: Best in a Generation? 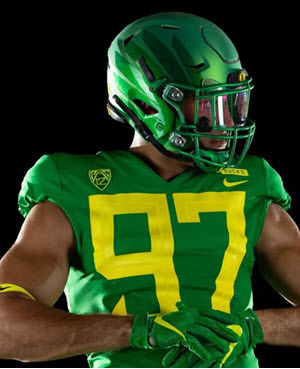 Brian Libby gives us the best explanation surrounding the features of the latest in Oregon uniforms, as he spoke directly to NIKE representatives. Informative and well written as always!